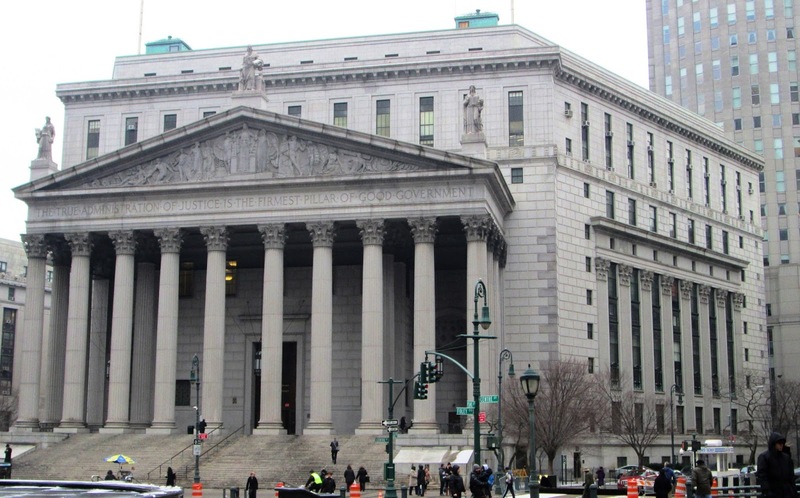 On Monday, the UFC filed another lawsuit against the State of New York that claimed the Combative Sports Law banning professional MMA was Unconstitutional. That was the jab. Yesterday came the right cross, in the form of a preliminary injunction. A preliminary injunction (PI) is a request for a court order that would make a party refrain from an action that causes a potential harm, and it's filed before the court decides on the merits of a particular case. 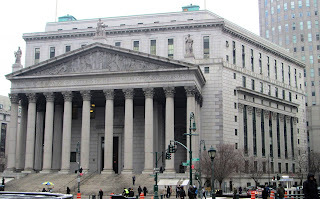 That's what the UFC filed yesterday, and it essentially asked the presiding Judge Kimba Wood of the Southern District of New York to order the State Attorney General, the New York State Athletic Commission, et al. to not shut down the planned UFC event at Madison Square Garden in April. As usual, a portrait of the history of the sport and its evolution is painted, albeit in broad strokes. However, there's quite a bit more in there about how the State has varied greatly in its interpretation of the Combat Sports Law over the years, and included are snippets of the supporting testimony gathered in the Jones v. Schneiderman case (including my testimony on the matter). Some shows were shut down, some shows were allowed to go on, and the State continually flipflopped on what it believed the law allowed - it's all in there. Remember: for years New York State held that the CSL banned amateur MMA events, but Jones v. Schneiderman forced them to admit that it didn't. The point of law this case centers around is the notion that the third-party organizations listed in the statute are allowed to sanction pro MMA events - a point that the State has never been able to take a firm stance on. The UFC's argument is the the law is vague, both in its construction and in how it's been applied since it was enacted in 1997. This is a big Constitutional "no-no", as it violates both the Fifth and Fourteenth Amendments. Keeping in line with the "jab-cross" analogy from above, a PI is not meant to be a finishing move. It's just meant to show the court that there's a real fight at hand. To that end, three things must be demonstrated: that there's a likelihood the case can be won, that without an injunction irreparable harm will be suffered, and that the PI serves the public's interest. The examples of vagueness that are laid out do a solid job of showing that the case can be won. In terms of irreparable harm, the UFC notes that they've plunked down a $25,000 non-refundable deposit to secure the date with Madison Square Garden, and their inability to hold shows in New York has done - and continues to do - harm in the form of reputational damage in the eyes of both fans and sponsors. As per the PI, public interest is served in regards to the fans and fighters who must travel elsewhere for live pro MMA events. As we saw with Jones v. Scheiderman, which was filed in 2011, these kinds of cases can take years before a resolution is reached, and that holds true for Monday's UFC v. Schneiderman. But a PI is something urgent, something with a real deadline attached to it. Because of that, we'll likely know in the next couple months if Judge Wood is willing to issue one. If she does, then the UFC's visit to Madison Square Garden in April will move one step closer to reality.